With a cold and wet day here I have started on the processing backlog from the summer. 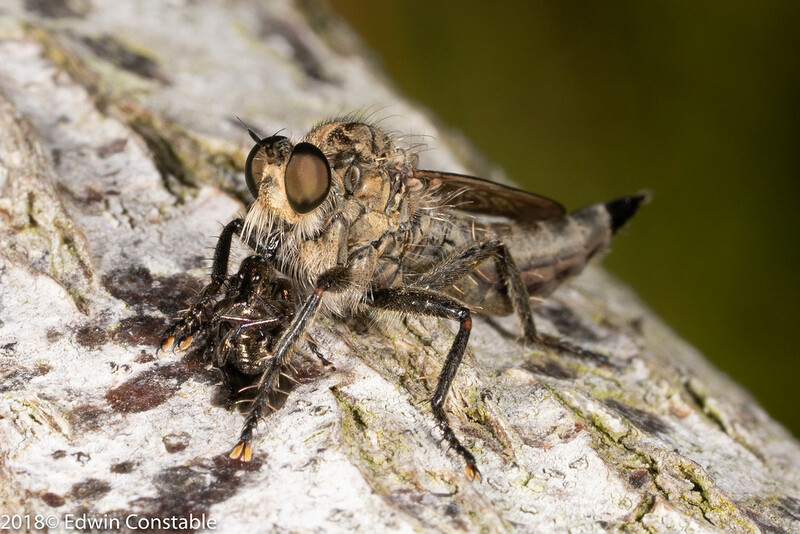 Here is a magnificent robber fly enjoying his lunch. Probably very nutritious ... one of our local street food places has started serving insects ... not at all bad. 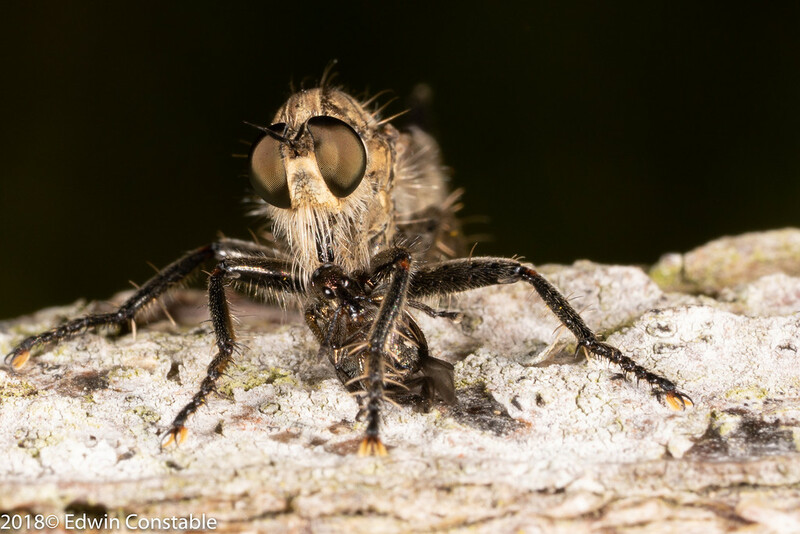 Anyway, this guy is one of the Asilidae, a Machimus sp. (Machimus rusticus?). If anyone can get closer than that, please go ahead! nice one, don't see many of these unfortunately.